Lemon, or Citrus limon, belongs to the Rutaceae tree family, which is a family of small, flowering citrus trees. Lemons are indigenous to Asia where lemon oils have been used by ancient Indians in Ayurvedic medicine for thousands of years. 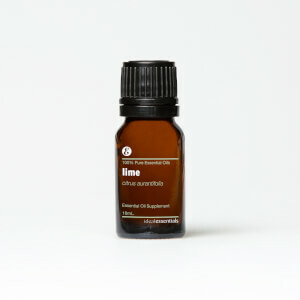 Historically used as an antibacterial and detoxifier, lemon is a great cleansing oil inside and out. Lemon oil is a wonderful natural cleaning agent free from harsh chemicals or perfumes. IdealEssentials Lemon Oil can be used in spray bottle diluted in water for a natural, all-purpose, household cleaner. Try it as a polish, to protect leather furniture, to remove tarnish or rust from silver or on counter tops and surfaces in the kitchen. In addition to its cleansing properties, it provides a clean, bright scent throughout your home as you clean or an uplifting, energizing aroma when diffused.